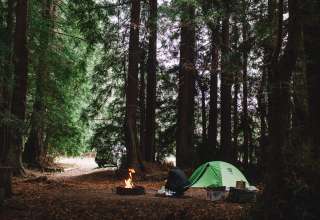 The best camping in California. The land where ‘Ski, surf, hike, and camp in one California day’ rings true. 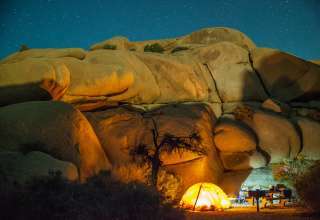 Camping in California is about as diverse as it gets from camping near the lowest point in the United States in the Death Valley desert to the highest point in the lower 48 states at Mt. Whitney in the Inyo Forest. Nearby, you can camp near, and hike among the oldest living organisms in the world, some over 5000 years of age in the Ancient Bristlecone Pine Forest. 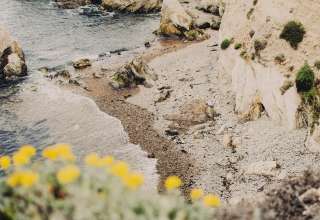 Head west and you’ll be greeted with 1,100 miles of coastline, perhaps most renowned by those looking to pitch a tent or park an RV along the Big Sur coast. 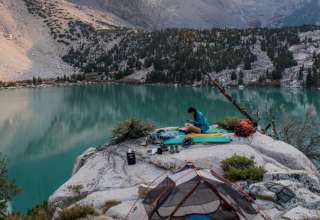 City-dwellers take advantage of the micro-climates when camping near San Francisco, and Los Angeles where you can comfortably pitch your tent nearly 365 days a year. Find almost anything your heart desires from bike-camping, wine-camping on vineyards, to snow camping in Sierra huts and yurts to tree-houses galore throughout. Golden in the summer, and often green in the winter, the Golden State welcomes campers with open arms. The tallest tree in the world can be found in Humboldt Redwoods State Park at 368'-369'. The buffalo soldiers who initially patrolled Yosemite pioneered the distinctive hat worn by National Park Service rangers. The summit of Mount Diablo State Park offers views more expansive than from any other peak in the world besides Mt Kilimanjaro. Reaching more than 14,000 feet toward the sky, Mount Whitney is the highest peak in the lower 48 states. Visit the Inyo National Forest to see one of the oldest trees in the world—Methuselah, a nearly 5,000-year-old bristlecone pine.